Engraving from Justine ou les malheurs de la vertu, 3rd edition: ‘En Hollande, 1800’. Despite these somewhat intimidating aspects, Sade’s decent works provide less painful ways to be decomposed into particles of insensible matter. 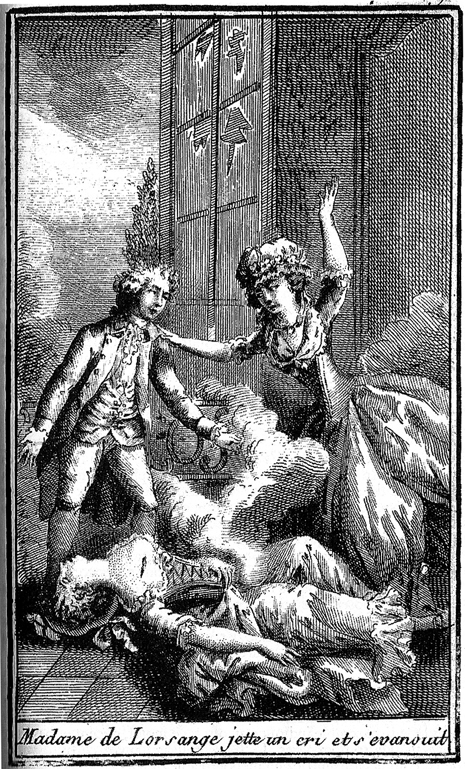 In Florville et Courval, a tale belonging to the Crimes de l’amour, the pious Mme de Lérince dies feeling pangs of conscience, while the Epicurean Mme de Verquin peacefully passes away on a voluptuous bed, scantily dressed and surrounded by fragrant flowers: ‘I will calmly fall asleep on the bosom of nature, without regret and pain, without remorse and anxiety’. On her deathbed, Mme de Verquin already imagines the flowers that will have been fed by the atoms of her ‘disorganized’ body. Sade’s literary universe, usually renowned as one of torture and pain, does not exclude peaceful death. Unlike Mme de Verquin, who dies aged 25 and in the flower of her youth, Sade passed away aged 74 in the lunatic asylum of Charenton. As his biographers tell us, he wasn’t spared the ailments of old age and even suffered violent pain during the days preceding his death on 2 December 1814. 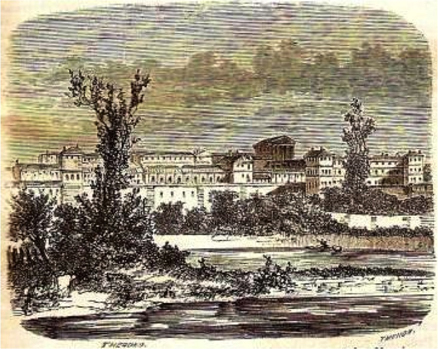 The lunatic asylum of Charenton in 1856. Engraving from Adolphe Joanne, Les Environs de Paris illustrés (Paris, 1856), p.575. As the rich and often controversial reception of his work over the last two centuries shows, his last will has not been fulfilled. According to his testament, he wanted to fade from collective memory, but 200 years after his death he is a part of both popular and scholarly culture. On 2 December 2014, numerous scholars will commemorate Sade’s life and work. A conference in Amsterdam, organized by Gert Hekma and Lode Lauwaert, will investigate Sade’s impact on contemporary ideas of sexuality. On the eve of the bicentenary day, Nicholas Cronk and I will present our recent edited volume Sade, l’inconnu? at Oxford. And many others might join us and lift their glasses in honour of de Sade: A la vôtre, Monsieur le Marquis! Voltaire, over the course of his long career, had a taste for publishing works under pseudonyms: perhaps most famously, M. le docteur Ralph, author of Candide, in whose pockets additions to the tale were supposedly found after the good doctor’s death. Also the rabbi Akib, the abbé Bazin, M. de Morza, to list but a few of his many noms de plume. More than a strategy to deflect the consequences of his more provocative and controversial writings (the anonymous Twitter handles and ‘sock-puppet accounts’ of the day), the practice also gave him playful enjoyment in the sheer variety of names and personas that he adopted. J.-J. 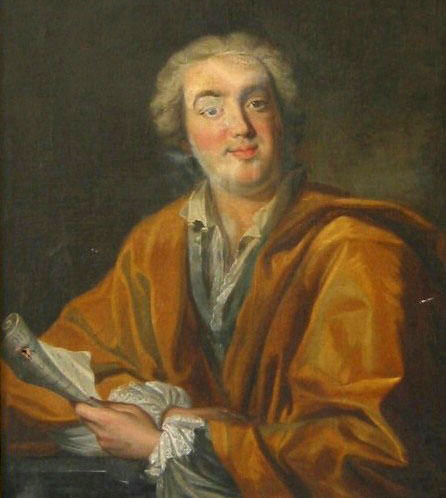 Le Franc de Pompignan (Anonymous), Hotel d’Assézat, Toulouse. 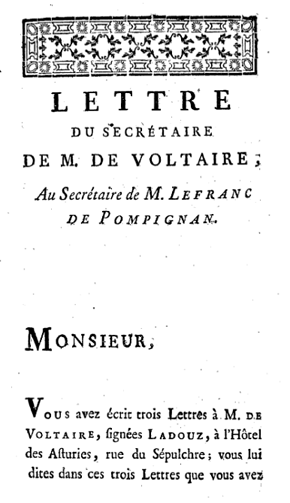 All of Voltaire’s pseudonyms were not imaginary characters, however, and in the early days of 1764 a letter appeared in print, apparently a reply from his secretary Wagnière to one Ladouz, former secretary of one of Voltaire’s arch-enemies, the academician Jean-Jacques Le Franc de Pompignan (who in 1763 had arranged for his local church to be restored, an enterprise which provided Voltaire with the opportunity to poke fun in a series of amusing pamphlets). This Ladouz has supposedly written to Voltaire, seeking a formal attestation that he has not betrayed his erstwhile employer by sending compromising documents to Ferney. 5. A beautiful sermon of his own composition, in which he is said to be amongst the stars in the firmament, whilst the clergymen of Paris and all men of letters are in the mud at his feet. Sont faits égaux, tous deux comme de cire. Drop-title of the Lettre du secrétaire de M. de Voltaire (Bibliothèque nationale de France, 8-LN27-12065). If anything, this aptly quoted verse is a tacit sign that his secretary has lent him his name – although even after the master’s death, Wagnière took responsibility for the piece. So was this then in fact a real letter, or does the epistolary form only serve further to broadcast material ridiculing Le Franc in a different guise and from a – supposedly – different pen? If it was a letter, how does its publication fit with eighteenth-century epistolary protocols? The Lettre du secrétaire appears in Voltaire’s correspondence (D11616), and also appears in his complete works since the piece benefitted from a separate publication at his hands. This new edition has the advantage of focussing attention on the ambiguities of such a document, a short text that would otherwise be lost in the great mass of Voltaire’s writings and letters. It is published this month, along with the Lettre de M. de L’Ecluse, the Hymne chanté au village de Pompignan, the Relation du voyage de M. le marquis Le Franc de Pompignan, the Lettre de Paris, du 28 février 1763 and an Avis des editeurs, under the umbrella title ‘Writings on Jean-Jacques Le Franc de Pompignan’ in OCV, volume 57A. The Besterman Centre for the Enlightenment and the TORCH Enlightenment Programme invite you to the 2014 Besterman Lecture: ‘ “True Enlightenment can be both achieved and beneficial” – The German Enlightenment and its interpretation’ by Joachim Whaley, Professor of German History and Thought, Cambridge, on Thursday 20 November 2014, at 5:15 pm, in Room 2, Taylor Institution, Oxford. All welcome. There is a long-standing scholarly tradition that affirms the existence of a distinctive German Enlightenment or Aufklärung but which denies that it had any long-term impact on German history. In the nineteenth and first half of the twentieth centuries deep-rooted narratives of German history emphasised the special destiny of a country which turned away from the sterile rationalism of western (essentially French) Enlightenment. 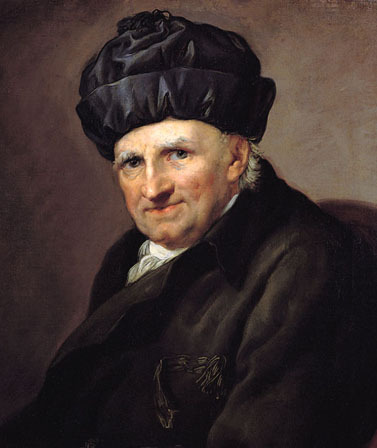 Romanticism and Idealism were said to have transcended the Enlightenment and to have represented a uniquely German way of understanding the world. After 1945 the same narrative gained negative connotations in the context of the view that German history followed a ‘special path’ (Sonderweg), which sought to explain the long-term origins of the Third Reich and the Holocaust. 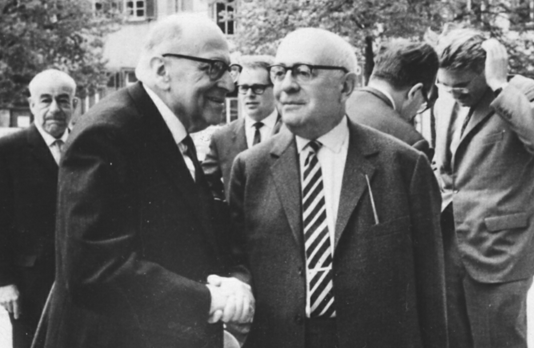 Indeed, Theodor Adorno and Max Horkheimer went so far as to suggest that the Enlightenment was effectively responsible for those later developments. That was an extreme view which many rejected. Yet the scholarly consensus in Germany nonetheless consistently underplayed the role of the Aufklärung. Germany, it was held, turned away from the Enlightenment in the 1790s; the movement was too weak to prevail over the critical assault of its enemies, who set Germany on a course that led inexorably to the disasters of the 1930s and 1940s. Jonathan Israel’s more recent narrative of the Enlightenment in many ways complements this view. His focus on the Radical Enlightenment as the true Enlightenment (which, however, developed moderate and critical or antagonistic variants throughout Europe) leads him to dismiss most Aufklärung thinking as moderate and therefore incapable of effecting true modernisation in the form of the core values that he defines for Western society. He underlines again the force of antagonistic and critical views in the last years of the eighteenth century. These approaches do not do justice to the distinctive character of the Aufklärung, or to its impact and legacy. The main reason for this is that they do not pay attention to the framework within which it developed. Ever since the early nineteenth century historians have by and large held negative views of the Holy Roman Empire: an allegedly sclerotic and doomed system that could not possibly have been associated with progressive Enlightenment ideas. Yet in fact the Holy Roman Empire not only formed the institutional and state framework within which the Aufklärung developed; its institutions were themselves transformed by the new way of thinking. Johann Joachim Spalding (1714-1804) by Anton Graff. Alte Nationalgalerie Berlin. The German Enlightenment mainstream was not defined by radicalism, by the followers of Spinoza, whom Israel puts at the heart of his narrative, but by reformism. The central text of the movement there was Johann Joachim Spalding’s Über die Bestimmung des Menschen (Reflections on the destiny of man). First published in 1748 as a twenty-six page pamphlet, it went through over forty editions before Spalding’s death in 1804, ending up as a book of 244 pages. It was perhaps the title as much as the content which accounted for the work’s impact. For the idea that man might have a vocation, a destiny or a ‘determination’ chimed perfectly with the mood of the mature German Aufklärung. Indeed the phrase ‘die Bestimmung des Menschen’ itself rapidly became one of the fundamental ideas of the Aufklärung, both a declaration and a programme in its own right. It is only if one explores the implications of this programme that one can fully understand the German Enlightenment in its distinctive context of the eighteenth-century Holy Roman Empire: a quasi-federal polity with central and regional institutions, a polity in which the actual business of government was devolved to the territories and cities. Furthermore, the reform movements associated with the Aufklärung at all levels – empire, regional structures, and territories and cities – had effects that shaped German history into the twentieth century and arguably even into the twenty-first century. Exploring these ramifications of Enlightenment in Germany is to uncover a hidden history. ‘Enlightenment can be both achieved and beneficial’, proclaimed the Brockhaus encyclopaedia in 1864. Despite everything that later happened in Germany, the conviction that Aufklärung might still be possible continued to inspire significant numbers of Germans, as it still does today. Find out more about 6000 years of German history in the series ‘Germany: memories of a nation’, presented by Neil MacGregor, Director of the British Museum.